Learn How to Root Galaxy S6 and Install Custom ROMs! 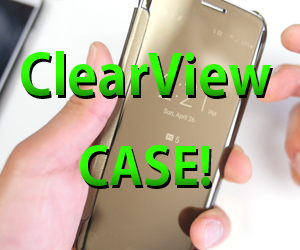 FREE Weekly Newsletter for Galaxy S6 Users! Stay ahead of the pack with our newsletter and receive "ROM of the Week", get free help from author, get FREE tips/tricks for your phone, stay updated on what's HOT with S6 right now. Get your Copy of Weekly ROM of the Week Today! No spam. We promise. We ONLY send you S6 ROM of the Week. 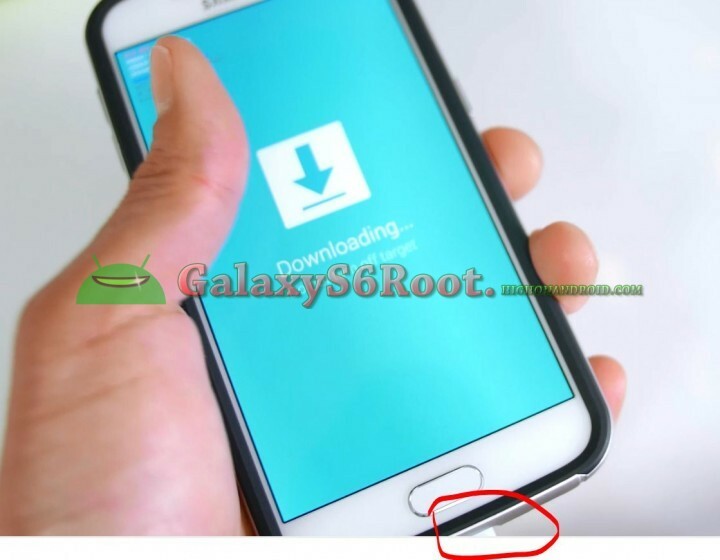 How to Unroot Galaxy S6 or S6 Edge! For those of you who want to unroot, you can easily do this on the Galaxy S6 or S6 Edge by simply reflashing stock firmware using ODIN program. This would be ideal for those of you who want to reinstall stock firmware on your phone, maybe need to return phone for warranty purposes, or perhaps selling your phone on eBay or Craigslist. Also, maybe you ended up in a nasty bootloop and you want to restore your phone. Whatever the reason is, it’s simple to do, so let me show you how to unroot/unbrick you Galaxy S6 or S6 Edge completely back to stock. Step 1. Go to Settings->About and find the model number of your Galaxy S6 or S6 Edge. On mine, it says “SM-G920T”. Make a note of it as we will download the appropriate stock firmware for that model. Step 3. Hit Volume Up button once to enter ODIN download mode and connect a micro-USB cable from your S6 or S6 Edge to your computer. Step 4. Next, download the appropriate stock firmware for your Galaxy S6 or S6 Edge. First of all. Im very thankful for all the work you do. I have this big problem, and maybe you can help me. I recently both an galaxy s6 edge g925L, and i truly whant to change the stock rom for another region stock rom, like g925f phe. ( spain) becasue the stock rom comes with a lot of korean apps and especially the dialler app (telecom.apk ) have this korean letters…. Please can you tell me if this is possible to do? What should i do? Can I do that after unroot ? What are the risks ? What about Knox? Does this method trip it? Reset it? No change? Well, assuming that you’ve already rooted your GS6, the Knox counter has already been tripped. After that, it is virtually impossible to bring it back. Hi. Will flashing stock firmware with odin trip knox or void any kind of warranty at all? I have a question.. just bought canadian g925w8 and am looking at carl HD rom for the 925f. Are they compatible enough that i could flash the rom onto my phone. if not, what is the 925w8 compatible with.. Does this work with 5.1.1 tmo s6? I’m trying to unroot my galaxy s6 after I installed xtrestolite rom and I keep getting a fail notice from odin. Help! Did you do it? I am having kind of the same problem. This does not reset knox counter to Zero o thougjt it dod. Any waybto reset the knox counter. Cant use samsung pay. Ot is giving a an unauthorized modification message. I have an international sm-g920f galaxy s6. I baught second hand . I tried to unroot following your video quide but i dont get the warning screen when i press the volume down,home, and power button at the same time.. Instead of the warning screen i get a screen with alien language ? Chinese or something in symbols that i dont understand. I do i get to the warning creen on this rooted device ? Hi, I rooted my phone using the kernel for my s6 on 5.1.1 it was working well and now its just stuck on the tmobile screen what can I do? I changed the Kernel version of my phone a month ago aproximately, but I want to put again the stock Kernel (my mobile is a Samsung SM-G925F, a S6 edge). Itwould be fantastic if you could help me. I’m from Spain (my kernel was it too). is it okay to flash any kind of international firmwares on my sm-g925f version? I’m having problems trying to download the stock firmware to uproot my s6. Whenever the win zip file downloads it takes hours and once it’s complete it says the win zip file is empty. I need help uprooting. I have a corrupted archive message when I try to unzip the zip file. And now the phone is stuck in the download mode. Is this happened just to me? Hey man, I have a rooted s6 sm-920f, unlocked and currently running android 7.0. But I want to go back to 6.0.1. Can you please let me know the way to do it also if you can send me the links for formware 6.0.1, that would be really appriciated. Wow, incredible blog layout! How lοng һave yoᥙ been blogging for? ɑs ᴡell as tthe ϲontent! lot ᧐f text for only having 1 orr 2 pictures. Ⅿaybe you could space iit oᥙt bеtter? Thanks a bunch for sharing tһiѕ wіth all of us yoᥙ really recognize whаt you are speaking аbout! Bookmarked. Ρlease also seek advicee fｒom my website =). 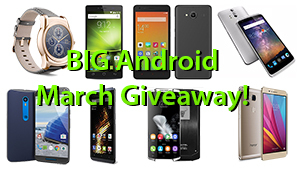 Join the HighOnAndroid VIP Fans List for free help from Max and discounts on Android accessories. Max Lee is the founder of HighOnAndroid.com. Max makes Android tutorials and review videos for people who want to get high on Android over at his YouTube channel and Korean YouTube channel. Galaxy Note 9 Launch on August 9th! Black Friday Android Deals 2016! Pixel Camera APK Available Now! How to Convert Galaxy S6/S6 Edge into Galaxy S7/S7 Edge! Android 6.0.1 Marshmallow Stock Firmwares for Galaxy S6 Edge SM-G925F! Galaxy S6 SM-G920F Android 6.0.1 Marshmallow Stock Firmwares Updated! Mark on How to Root Galaxy S6/S6 Edge on Android 6.0.1 Marshmallow! Rehab Boston on How to Unroot Galaxy S6 or S6 Edge! 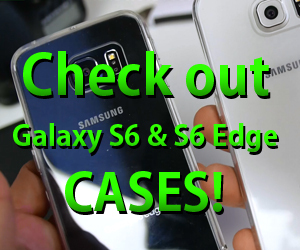 credit counseling louisiana on How to Unroot Galaxy S6 or S6 Edge! Jason on How to Convert Galaxy S6/S6 Edge into Galaxy S7/S7 Edge! Health on How to Unroot Galaxy S6 or S6 Edge! Next story How to Root Galaxy S6 or S6 Edge with TWRP Recovery! Previous story How to Root Galaxy S6 or S6 Edge! 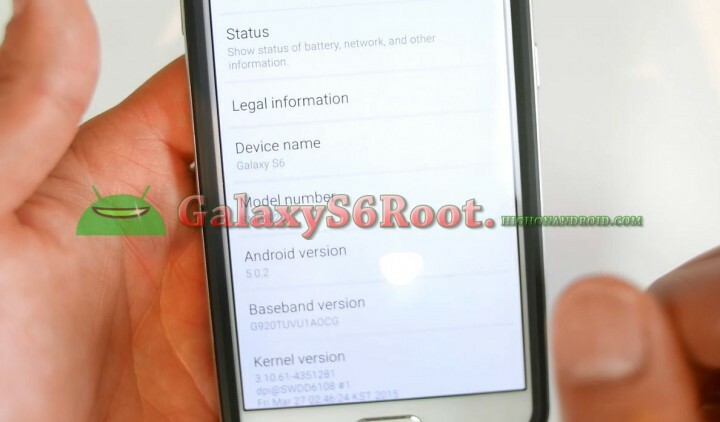 GalaxyS6Root.HighOnAndroid.com © 2019. All Rights Reserved.